I’ve really started getting into my make-up and make-up accessories recently and decided to take the plunge and treat myself to a couple brushes from the Real Techniques Bold Metals range. I’d been meaning to get good set of brushes for a while but never had the time to sit down and research, on all my fave beauty blogs, which were the best to buy. 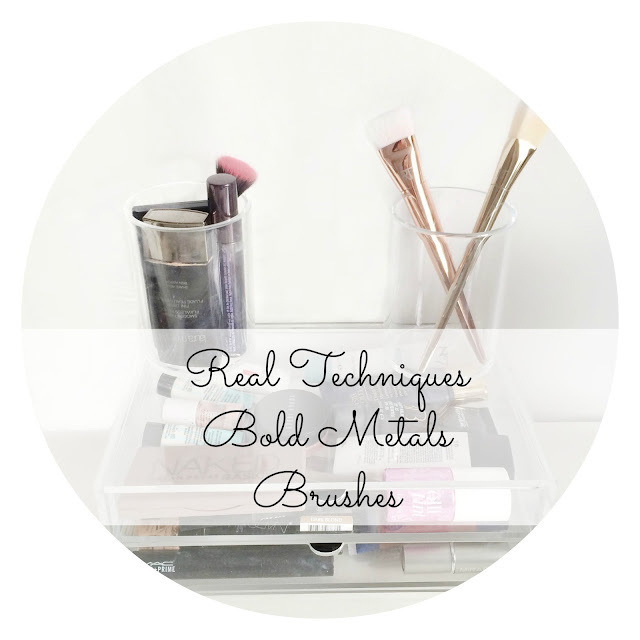 The Real Techniques Bold Metals brushes started popping up on my Twitter and Instagram feeds left, right and centre and I immediately started lusting after them before I’d even read up on them. They are just so gorgeous! The original line was launched in 2011 by Pixiwoo ,who are the amazing make up artists Sam & Nic Chapman. These Bold Metals make up brushes are a luxurious extension of that collection. They are made from synthetic bristles but you'd barely know as they are so soft and feel great on your skin. I read numerous reviews on beauty blogs such as Lily Pebbles, Vivianna Does Makeup, In the Frow etc which praised them highly so I popped along to Boots and picked up the 101 foundation brush and the 301 contour brush. There weren’t many others left, they are that popular. They are a little pricey, £22 and £26 so I’ve just gotten two to begin with and if they continue to live up to the hype I will definitely be purchasing them all eventually. They are weighted so they stay in your hand really well whilst you use them and feel super professional. First off, the 101 triangle foundation brush. This brush has a double function as it has different shade sides. The flat part is perfect for applying your foundation to larger areas of your face and the triangulated side is a good shape for getting into the areas around your nose and eyes. At first, the bristles on the brush take a bit of getting used to because they can leave a streaky finish, if you don't apply the right amount of foundation and pressure when applying. It's a great size brush head and I really like it. 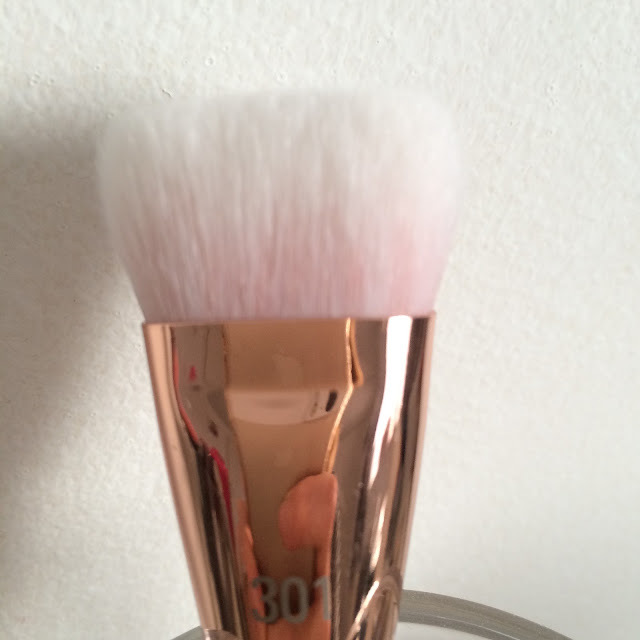 Next up the 301 flat contour brush. This brush is amazing! It is such a perfect shape and makes conturing and blending for a complete amateur, like myself, a absolute breeze. 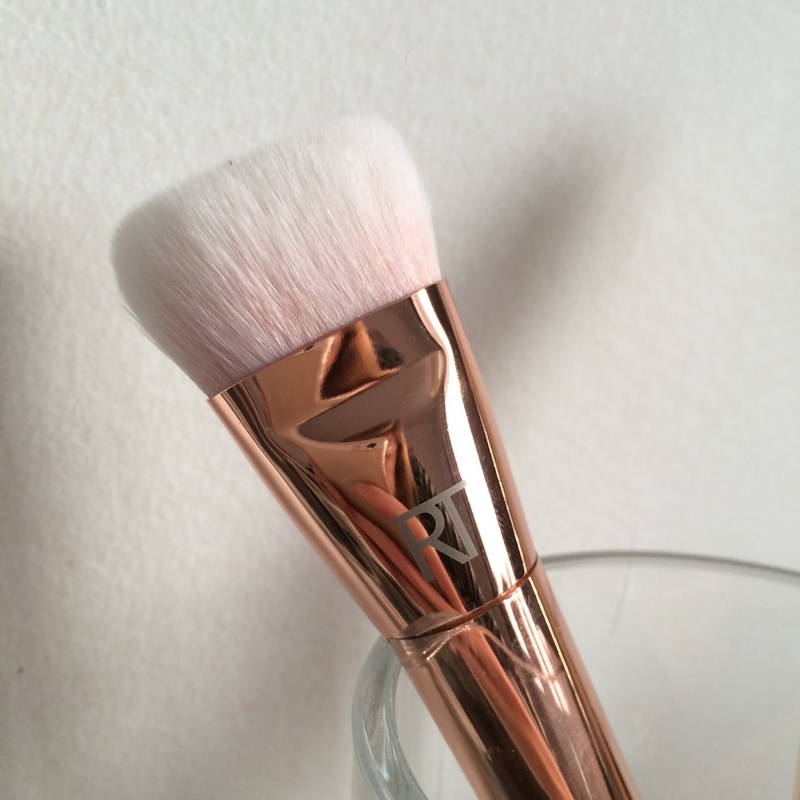 You can easily use it to apply powder and then blend simultaneously. 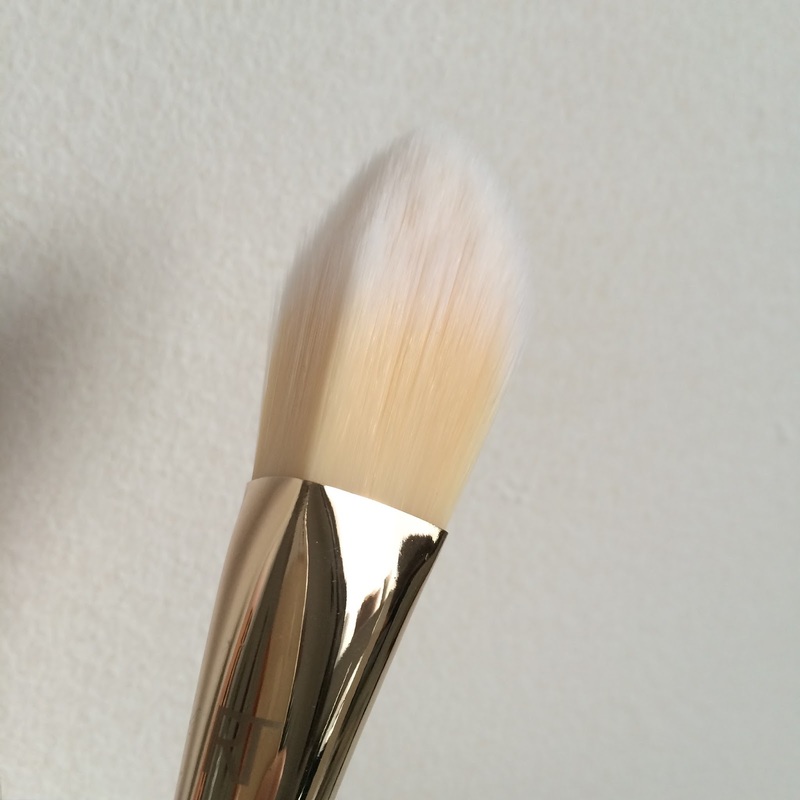 I'd say if contouring is a big part of your make up routine then this is a brush you need in your life! The only downfall is that they are so pretty and shiny, my 1 year old daughter, who is a bit of a magpie, constantly wants to steal them! What make up brushes do you use?